A secondary school in Scotland has joined a pilot project of deploying innovative LiFi, which transmits wireless data through LED lighting. 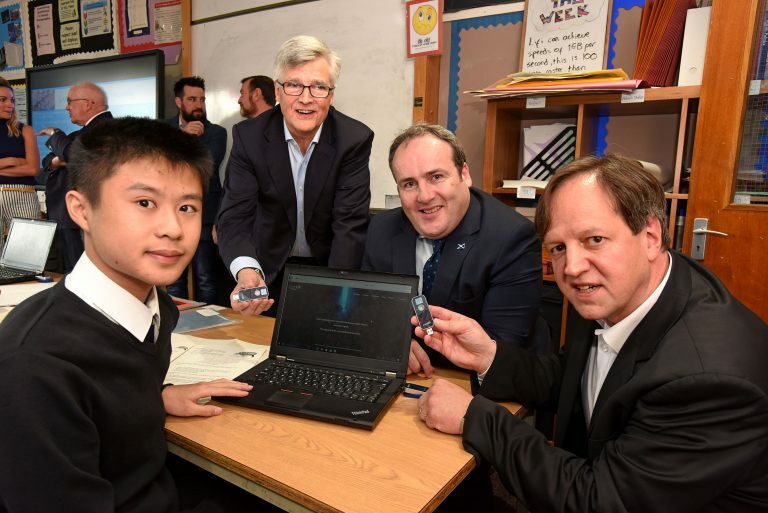 The project was initiated by pureLiFi, a LiFi technology company spun off from the University of Edinburg with the support of the Scottish Government’s Digital Strategy. pureLiFi and the LiFi Research and Development Centre at the University of Edinburgh provided resources, support and subsequent testing. To conduct the project, the school was installed with pureLiFi’s LiFi-XC system, which is comprised of eight LiFi-enabled LED light bulbs in the ceiling and LiFi-XC stations to be plugged into laptops to enable high-speed connectivity through the light. pureLiFi has also worked with UK telecom operator O2 to expand the trial of its technology. LiFi is believed to provide a more reliable and secure wireless data connectivity based on the visible light spectrum and to reduce infrastructure complexity, claimed the companies.